WORCESTER, MA – The Worcester Railers Hockey Club (@RailersHC), proud ECHL (@ECHL) affiliate of the New York Islanders (@NYIslanders), and Railers HC General Manager and Head Coach Jamie Russell (@JamieRussell18) officially announced today that four contracted players from the Railers 2017-18 roster will be participating in the Bridgeport Sound Tigers’ (AHL) training camp, which begins September 24. In all, 11 players with Worcester Railers ties are participating in the Sound Tigers’ training camp. 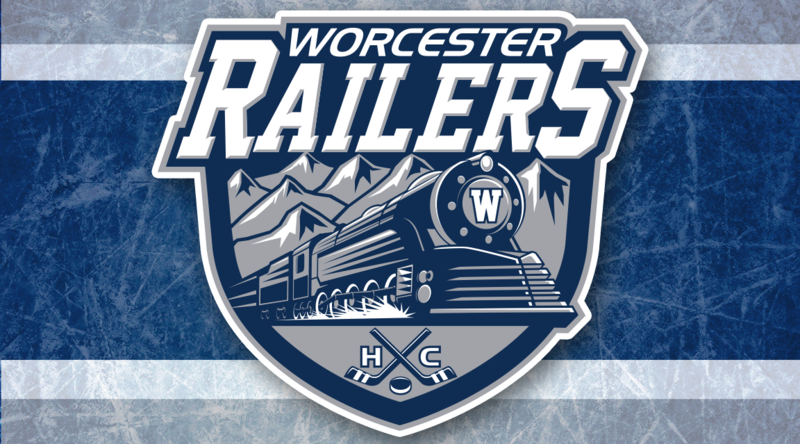 The Worcester Railers will report to training camp at the Fidelity Bank Worcester Ice Center on October 1. The complete training camp schedule, along with the camp roster, will be announced at a later date.